Everybody dreams of a perfect body – especially General Motors’ engineers. Of course, in their case, we are talking about the challenges that come with making the perfect truck body. GM Authority recently explained the ins and outs of this process. 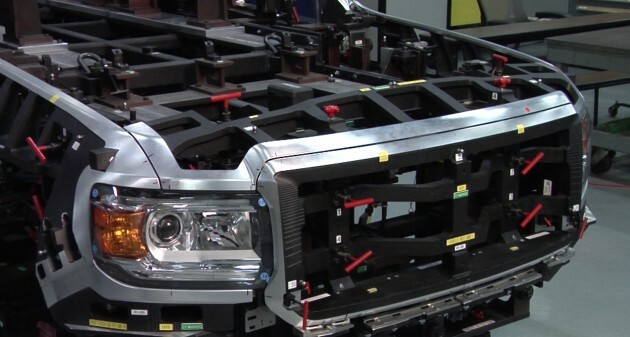 Assembling the new 2015 Chevrolet Colorado and 2015 GMC Canyon body is like putting together a puzzle. But only if the puzzle pieces all came from “five plants and as many as 20 different suppliers.” Maintaining the necessary precision over all of these locations is a quite the undertaking. So engineers have resorted to using a special tool. Helping them to put these vehicles together with, well, laser-precision is a “sophisticated laser-scanning process.” As you’d imagine, the laser can catch any inconsistencies or errors. Visit Freehold Buick GMC to check out the latest truck models we have in stock! GM Submits Buick Velite Trademark Application: New Model on the Way?